Although only the Great Pyramid of Giza remains of the Seven Wonders of the Ancient World, the modern world can surely boast with a number of memorable architectural monuments. Eiffel Tower, Statue of Liberty, Burj Khalifa… the list could go on and on. And while we can travel to most of them and see their magnificence and beauty surrounded by contemporary structures ourselves, there is something deeply admirable about the process of construction. Perhaps it’s the progress that draws our eyes, the ability to pinpoint growing elements in a building. Or maybe it’s their potential, the uncertainty of what they will look like, what effect they will have on the landscape, what future does it hold for people and how long would it survive? The wondrous possibility of our modern architectural triumphs turn into Great Pyramids of the future. Or maybe snaps of famous buildings being constructed simply fill out curiosity and adds a different dimension to an already familiar puzzle. Scroll down below to see what famous structures looked like while they were being built and don’t forget to comment and vote for your favorites! Yet another signature structure in this list, the picturesque Golden Gate Bridge that we cannot imagine San Francisco without. It spans across the Golden Gate, the strait connecting San Francisco Bay and the Pacific Ocean and is 8,981 ft (2,737.4 m) long. 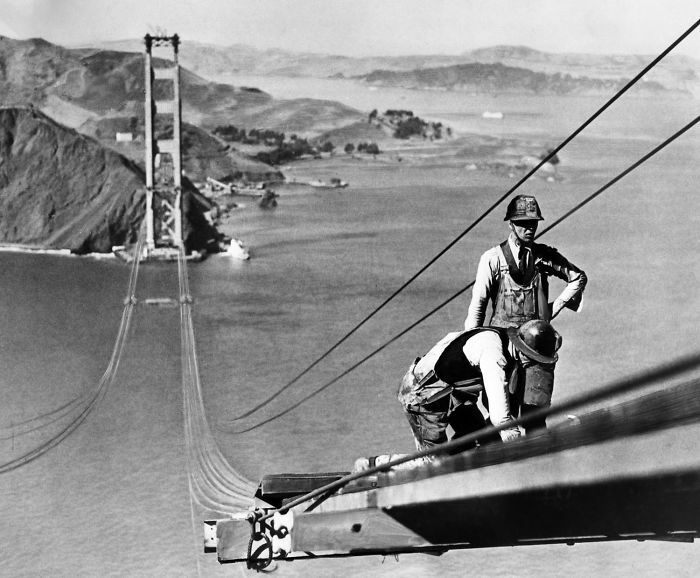 The construction of the suspension bridge started on January 5, 1933, with architect Irving Morrow at the helm and engineering design by Joseph Strauss, and Charles Ellis. The production cost was more than $35 million ($493 million in 2016 dollars), though the bridge was finished ahead of schedule and $1.3 million under budget (equivalent to $23.8 million today). It was finished in 4 years and took 11 construction workers’ lives. The Eiffel Tower is one of the most iconic structures in the world, a must-see when visiting France. It’s so fundamental to the scenery of Paris that it’s hard to imagine that there were times it wasn’t there. But before 1887, when the construction of the tower started, there was only a debate over how to celebrate the centennial of the French Revolution and a suitable centerpiece for the proposed 1889 Exposition Universelle. Maurice Koechlin and Émile Nouguier, two senior engineers working for the Compagnie des Établissements Eiffel are attributed with the design of the tower. However, as hard as it is to imagine, there were many people who thought the design to be hideous and many even protested the construction, especially artists. Nonetheless, the tower was finished on 15 March 1889, with 300 on-site workers, 1 fatality and around 10k tons of metal. Looming at 300m the Eiffel Tower was the tallest structure in the world at that time. #3 Lincoln Memorial In Washington, D.C., U.S.
President Abraham Lincoln was definitely a memorable figure in his lifetime and, arguably, even more after his death. In 1868, 3 years after Lincoln’s assassination, Lot Flannery erected a statue in front of the District of Columbia City Hall as a public memorial for the former president, which sparked public interest in a national memorial. 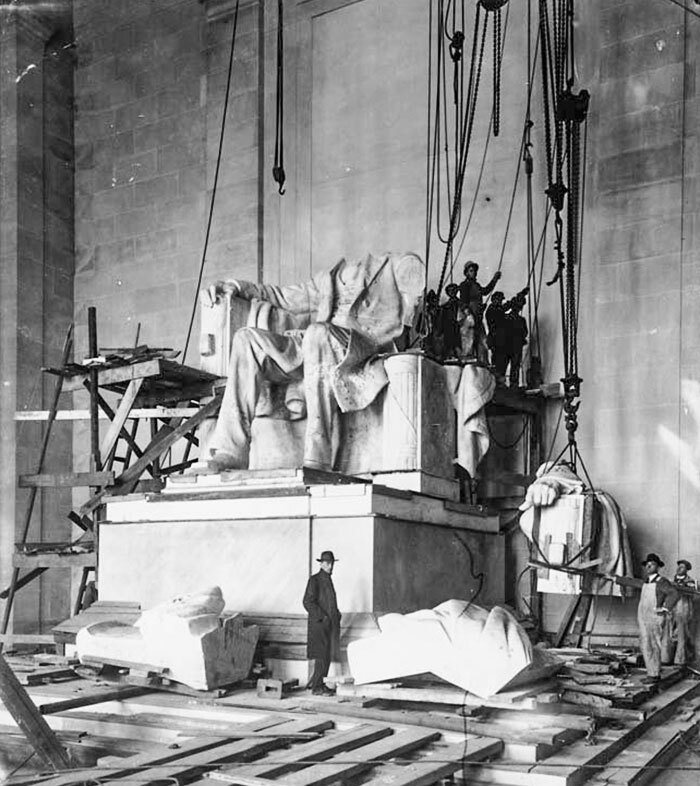 Though despite passing (and rejecting) a great number of bills, the Lincoln Memorial that we know today only started to take its roots on February 12, 1914, when the actual construction began. With $300,000 of funds, the memorial was finished in 1922 with Henry Bacon as the architect and Daniel Chester French as the sculptor for the project. The entire memorial takes 27,336 square feet (2,539.6 m2) of space, while the exterior ‘temple’ measures 189.7 by 118.5 feet (57.8 by 36.1 m) and is 99 feet (30 m) tall. It was built in the classic Greek fashion with signature columns and friezes. Lincoln statue is 19 feet (5.8 m) and is made of Georgia white marble weighing 175 short tons (159 t) and it had to be shipped in twenty-eight pieces. #4 Statue Of Liberty In New York City, U.S. The icon of freedom from oppression, unity, and friendship between two nations, the Statue of Liberty was a gift from the people of France to the people of the United States. The friendship between two nations established during the American Revolution was turned into a symbol by Frédéric Auguste Bartholdi who sculpted the statue and obtained a U.S. patent for the structure. 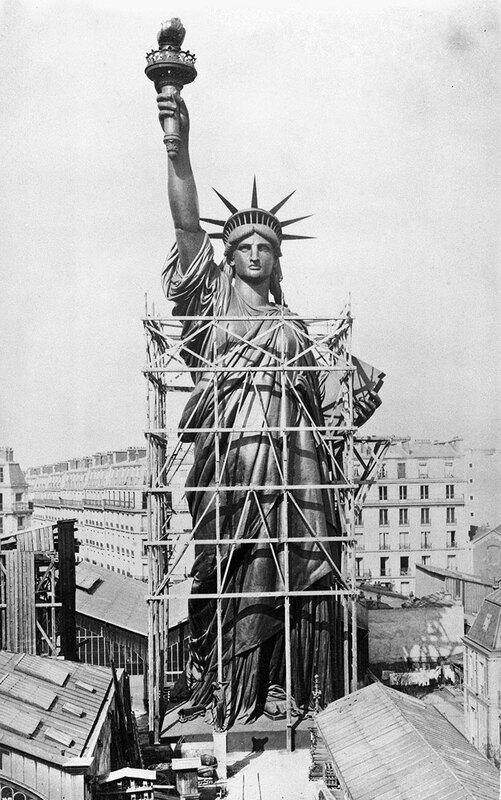 The statue took years to build, starting with the right arm in 1875, being assembled and disassembled in France, shipped to the US, assembled once more and finally officially dedicated and unveiled on October 28, 1886. It took a lot of effort, fundraising and hard work (crews, reportedly, worked round the clock, seven days a week, for nine years to finish the statue), but it became one of the best known symbols in the country, if not the world. The Statue of Liberty is 151 feet 1 inch (46 meters) tall, making it 305 feet 1 inch (93 meters) tall with the pedestal. When the Director of the NSW State Conservatorium of Music, Eugene Goossens insisted on having a suitable venue for large theatrical productions back in the 1940s, no one had a single idea that the project that followed would become one of the most prominent buildings in the world. 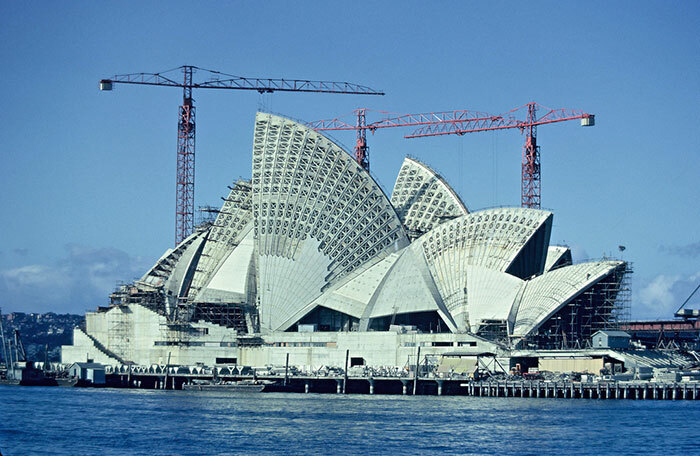 The construction of Sydney Opera House started in 1959 with the demolishing of Fort Macquarie Tram Depot that occupied the site. The design was prepared by a Danish architect Jørn Utzon who won the international competition for the project, beating 233 entries, representing architects from 32 countries. The construction was split into three stages, podium, roof and interior and was finished by 1973. The structure cost $102 million (equivalent to ~A$927 million in 2016) and looms at 65 m (213 ft). #6 Empire State Building In New York City, U.s. Yet another iconic structure from the Big Apple that one can hardly imagine the city’s landscape without. The Empire State Buildingis a 102-story Art Deco skyscraper that looms at 1,454 ft (443.2 m) and is in most of the ‘must see in New York City’ lists. It took a long time to plan and design as the building plans went through 15 different versions before the current plan was approved. 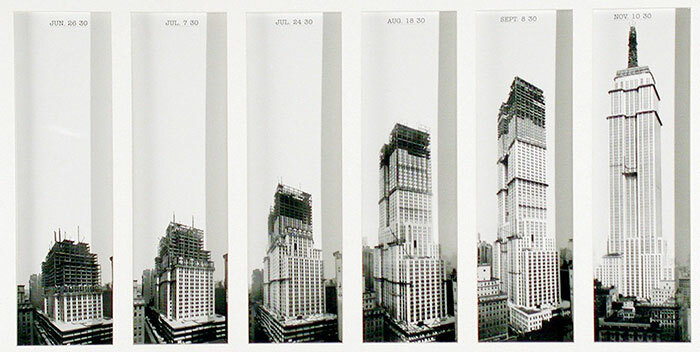 The construction work began on October 1, 1929 with the demolition of the old Waldorf–Astoria hotel. The construction concluded on April 11, 1931, costing $40,948,900 ($534 million in 2016 dollars). The building process was captured by Lewis Hine, who would climb up and dangle from the building together with the workers to provide insight into the process and daily lives of every day workers. The photos captured the public’s eye as they were fascinated by the sheer height the people worked at. 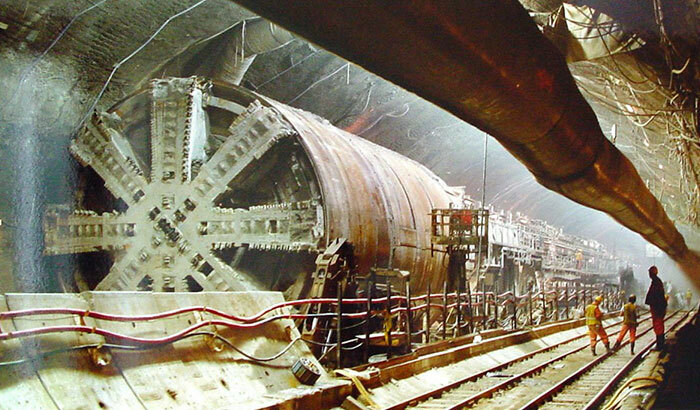 While laying brick on top of another or connecting metal poles together into a tall structure might seem like a manageable task if one puts enough effort, digging a tunnel underneath a large body of water seems like a task of a completely different caliber. But that didn’t scare some people and all the way back to the 19th century, proportions were put forth, like that of a French mining engineer Albert Mathieu-Favier, who introduced the idea of digging a tunnel under the English Channel. Though despite many efforts from different persons and groups, only in 1979 did the concept start to gain speed when the British prime minister Margaret Thatcher supported the idea of a privately funded project. Two years later, Thatcher and the French president François Mitterrand agreed to work together on a privately funded proposal. With many agreements, funding schemes and years of work from both countries, the construction began in 1988. Eleven tunnel boring machines were used to cut through chalk marl to construct two rail tunnels and a service tunnel. The construction took £4.65 billion (equivalent to £13 billion in 2015), around 15,000 people and claimed 10 workers’ lives. The tunnel is 50.45 km (31.35 mi) long and began operating in 1994 after it was formally opened by Queen Elizabeth II and President Mitterrand in May. Just as the Eiffel Tower in Paris or the Statue of Liberty in New York, one could hardly imagine London without its iconic Tower Bridge. Back in the 19th century, when people ran into the problem of needing a bridge downstream of London Bridge but also not wanting to cut off access by sailing ships to the port facilities in the Pool of London, between London Bridge and the Tower of London. A comittee was formed in 1877 to resolve the issue and it ended up picking Sir John Wolfe Barry for engineer and Sir Horace Jones as architect to build a new bridge. 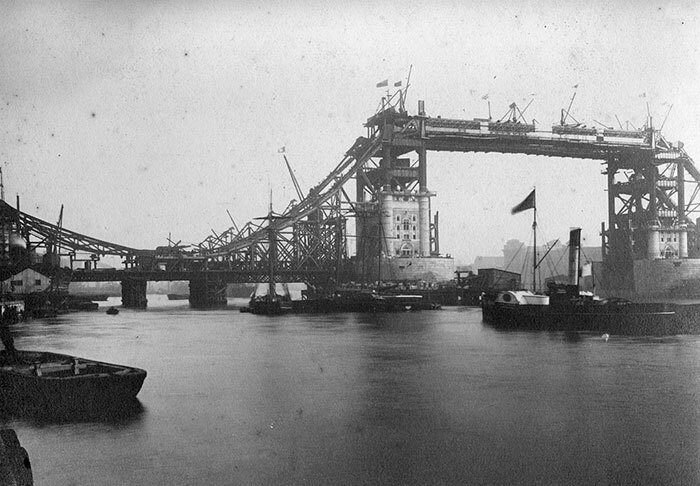 The construction began in 1886 and finished 8 years later, with 432 construction workers, over 70,000 tons of concrete, over 11,000 tons of steel and a cost of £1,184,000 (equivalent to £132 million in 2018). The bridge is 213 ft (65 m) tall and stretches across the river to 270 ft (82.3 m). Originally known as Boulder Dam, this concrete arch-gravity dam in the Black Canyon of the Colorado River was the biggest concrete structure of its time. 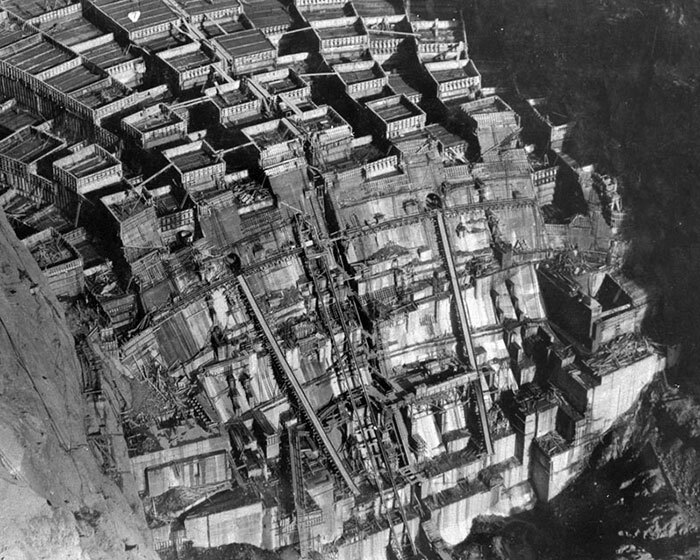 Built during the Great Depression, Hoover Dam took massive efforts to complete with thousands of people working for 5 years (1931-1936). It ultimately claimed over 100 lives. The dam impounds Lake Mead, the largest reservoir in the United States by volume, and produces hydroelectric power. It is 726.4 ft (221.4 m) tall and 1,244 ft (379 m) long. #10 Manhattan Bridge In New York City, U.S. Yet another suspension bridge and a structure in New York City, the Manhattan Bridge is 1,470 ft (448 m) long, 336 ft (102 m) high bridge that connects Lower Manhattan with Downtown Brooklyn. 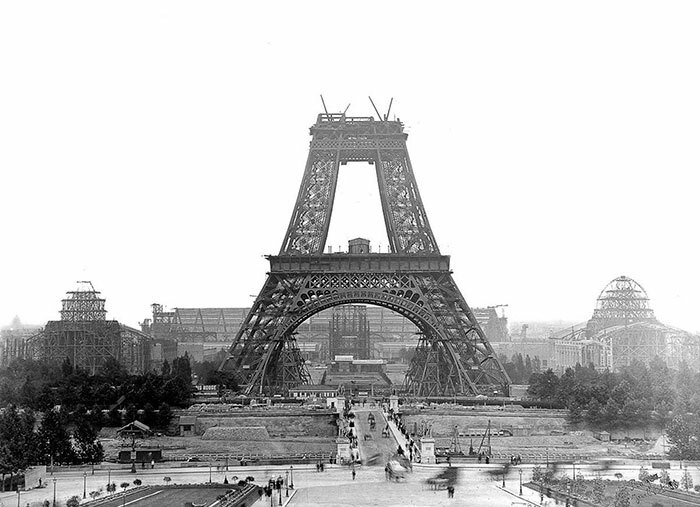 The construction began in 1901 with towers being erected first. 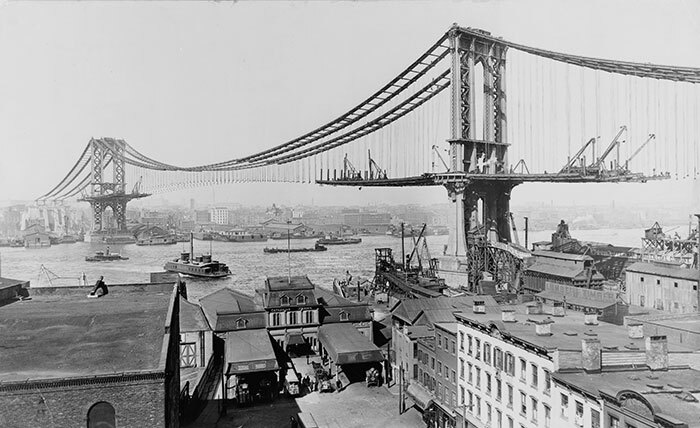 The remainder of the bridge was completed by 1912 and required 30,000 tons of steel, and around $22 million. Despite needing numerous repairs throughout the years, the bridge still remains one of the most picturesque parts of the city, with the triumphal arch and colonnade decorating the Manhattan entrance. #11 World Trade Center In New York City, U.S.
World Trade Center’s signature Twin Towers drew the world’s attention during the 9/11 attacks when the Islamic terrorist group al-Qaeda hijacked two Boeing 767 jets and rashed them into the North and South Towers within minutes of each other. The towers both collapsed within hours, taking near 3000 lives, making it the single deadliest terrorist attack in human history. 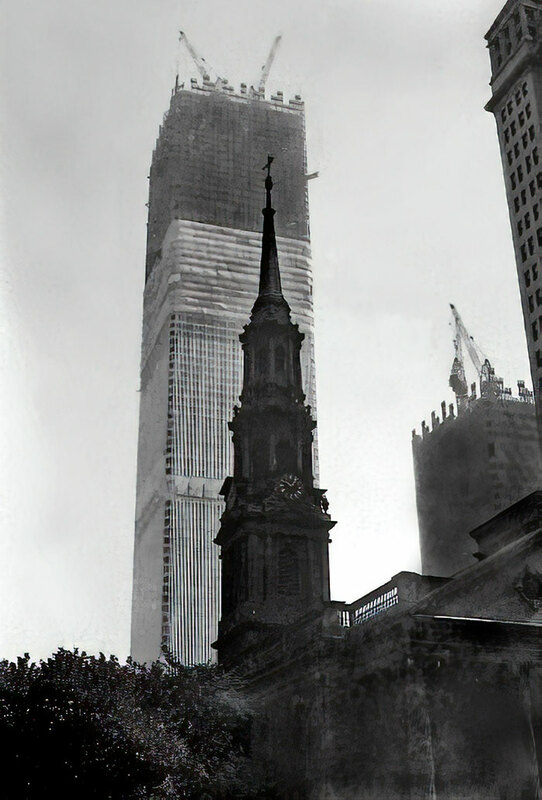 The construction work for the World Trade Center started on August 5, 1966. The complex was opened on April 4, 1973. The Twin Towers, the original 1 World Trade Center, at 1,368 feet (417 m); and 2 World Trade Center, at 1,362 feet (415.1 m), were the tallest buildings in the world at the time of their completion. The Chernobyl disaster on 25–26 April 1986 rocked the world as one of only two nuclear energy accidents classified as a level 7 event (the maximum classification) on the International Nuclear Event Scale (the other being the Fukushima Daiichi nuclear disaster). It took 31 lives related directly to the incident, and despite the incident occuring decades ago, the impact on survivors’ health is still not completely clear. The accident required tremendous effort to decontaminate, with one of the bigger projects being a large cover over reactor 4 known as “The Sarcophagus” that was finished in December 1986. It was built as an effort to reduce the spread of the remaining radioactive dust as the remaining reactors 1, 2 and 3 still remained functional and had crews working (reactor 3 produces electricity up into 2000 before its shutdown). Despite the power plant no longer working, the clean-up efforts are still undergoing and are scheduled to be completed in 2065. 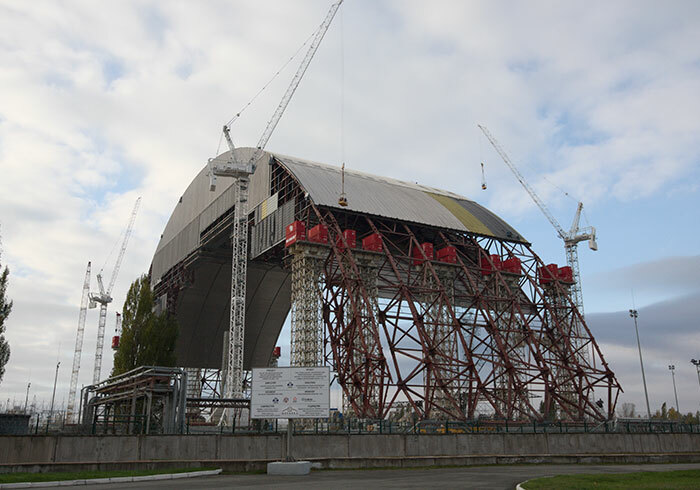 The structure in the photo is of the New Safe Confinement built over the original sarcophagus and is intended to prevent the release of radioactive contaminants from the existing shelter, protect the reactor from external influence, facilitate the disassembly and decommissioning of the reactor, and prevent water intrusion. 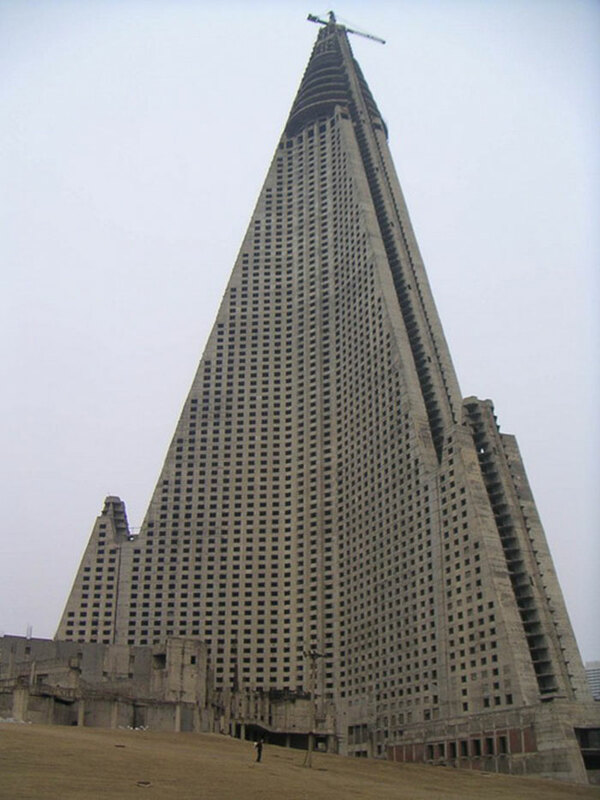 Perhaps the best-known structure in North Korea, the Ryugyong Hotel is a massive 105-story building that looms at 330.02 meters (1,082.7 ft) and is classified as the tallest unoccupied building in the world. The construction started in 1987 and the building was reportedly intended to be the largest hotel in the world, however, due to North Korea’s economic crisis, it was halted multiple times. With the deal and financial aid from the Egyptian company Orascom Group, the work resumed in April 2008 and within the next couple of years, the exterior of the building was finished. A partial opening was announced for 2013, however, as of 2019 the building still remains unfinished and empty. 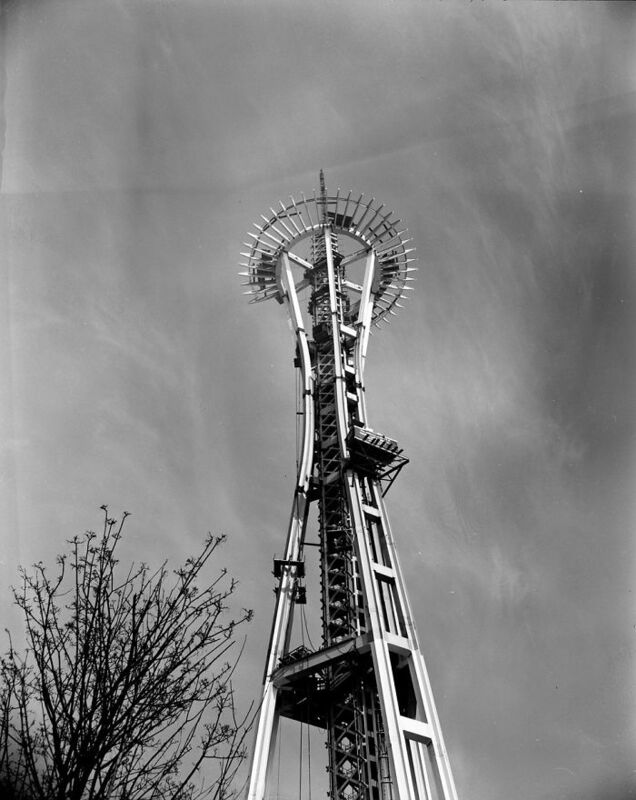 Seattle’s most iconic landmark, the 184 m (604 ft) tall Space Needle was the tallest building in Seattle and Washington state from 1962 to 1969 until it was surpassed by Safeco Plaza. The observation tower weighs 9,550 short tons (8,660 tonnes) and is built to withstand winds of up to 200 mph (320 km/h) and earthquakes of up to 9.0 magnitude. The construction of the tower began on April 17, 1961 and concluded on December 8, 1961. #15 Gateway Arch In St. Louis, Missouri, U.s. The world’s tallest arch, The Gateway Arch looms at 630 ft (192 m) and is the tallest man-made monument in the Western Hemisphere. It was designed by a Finnish-American architect Eero Saarinen in 1947 after extensive planning by the government and a design competition that took 3 years. 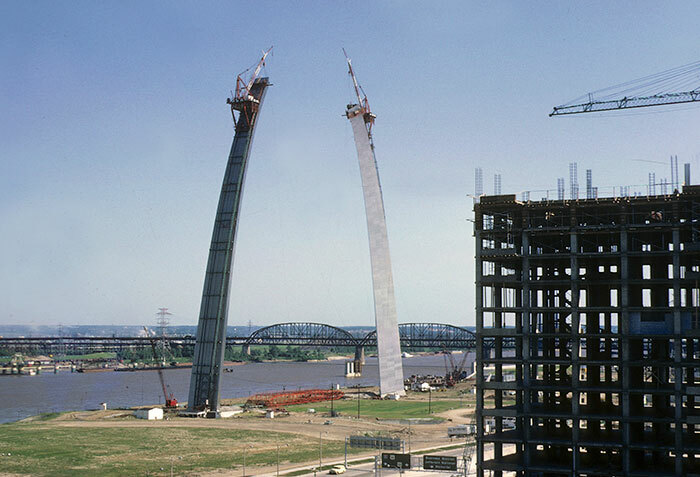 The construction of the arch commenced in February 12, 1963 and concluded in October 28, 1965, despite various delays and lawsuits that staggered the process. World’s tallest building, The Burj Khalifa is a massive skyscraper in Dubai, United Arab Emirates that reaches an impressive 828 m (2,717 ft) height. Construction of the building commenced on 6 January 2004 and concluded on 1 October 2009. 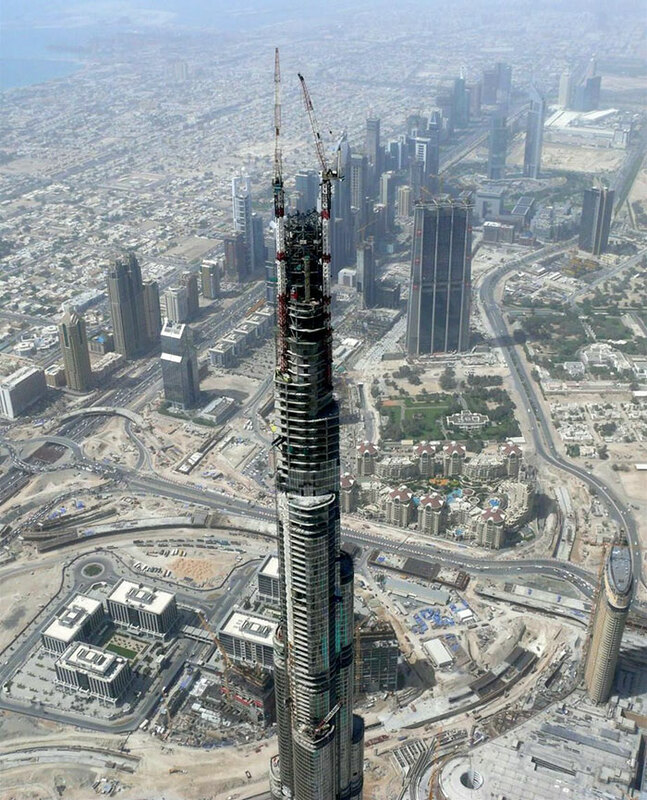 It was built as part of a larger development called Downtown Dubai and cost US$1.5 billion to complete. While originally named Burj Dubai, it was later renamed to Burj Khalifa in honor of the president of the United Arab Emirates, Khalifa bin Zayed Al Nahyan. Perhaps one of the most iconic monuments in the USA, Mount Rushmore National Memorial depicts heads of Presidents George Washington, Thomas Jefferson, Theodore Roosevelt, and Abraham Lincoln carved into the granite face of Mount Rushmore in the Black Hills in Keystone, South Dakota. It is reported to attract more than two million visitors annually. 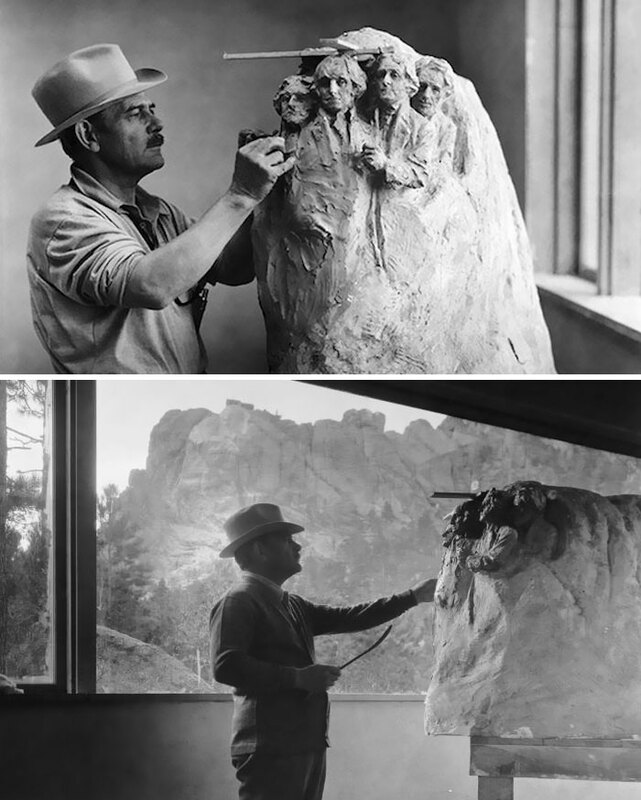 Historian Doane Robinson wanted to promote tourism in South Dakota so he came up with an idea for a memorial and persuaded sculptor Gutzon Borglum to model the sculptures. After the project was approved by Congress, the carving started in 1927 and ended in 1941 without a single fatality. #18 Vehicle Assembly Building And Launch Control Center (Nasa) In Florida, U.s.
NASA’s signature building, The Vehicle (originally Vertical) Assembly Building, or VAB, is located in Brevard County, Florida, U.S. and stands at 160.3 meters, 526 ft making it the largest single-story building in the world. 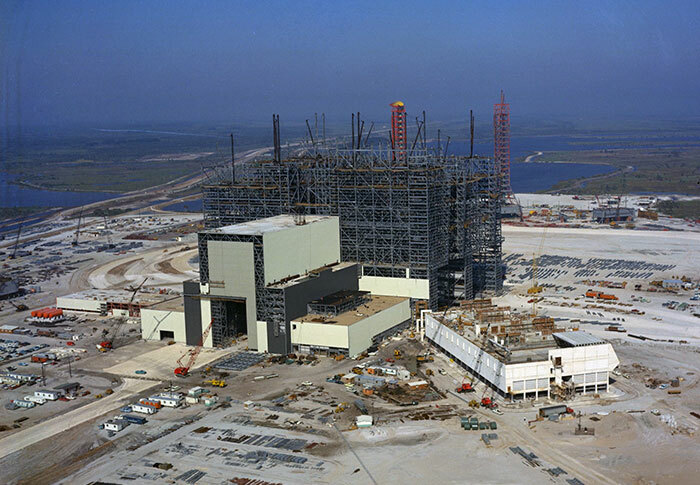 Construction began on August 2, 1963 when NASA commissioned the Morrison-Knudsen company to design and build the VAB. The building was completed in 1966 and is meant to withstand hurricanes and tropical storms with a foundation consisting of 30,000 cubic yards of concrete and 4,225 steel rods driven 160 feet into limestone bedrock. The main purpose of the building is to allow large pre-manufactured space vehicle components, such as the massive the Space Shuttle to be assembled. #19 Washington Monument In In Washington, D.c., U.s. The Washington Monument is the world’s tallest predominantly stone structure and the world’s tallest obelisk, standing 554 feet 7 11⁄32 inches (169.046 m). Located in Washington, D.C, the structure commemorates President George Washington. It is made of marble, granite, and bluestone gneiss. Although it stands as a proud symbol to this day, there had been many trials that followed the obelisk’s construction and maintenance. Work started in 1848 and it is argued that it was very likely that African-American slaves were among the construction workers. 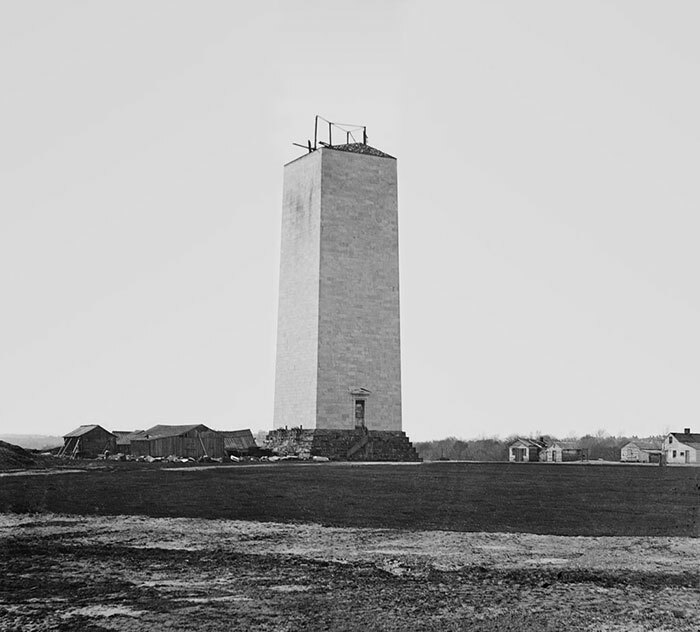 As donations ran out, the construction was halted in 1854, leaving the obelisk at 152 feet (46.3 m). After the Civil War ended and endless political and financial struggles ensued, the construction resumed in 1879 and the obelisk was finally finished on October 9, 1888. 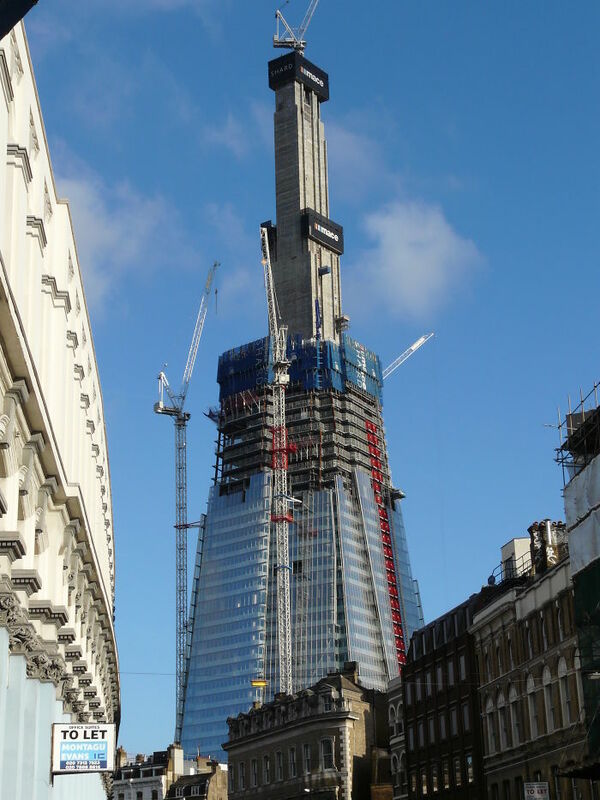 The 95-story supertall skyscraper called The Shard was designed by the Italian architect Renzo Piano and sits at 309.7 m (1,016 ft) height, making it the tallest building in the UK. The construction commenced in February 2009 and in December 2011 became the tallest building in the European Union, despite the structure not being finished yet. It was completed in in November 2012 and cost around £435,023,452.